The global equity markets provide the closest thing we have to a free lunch. With little effort, they provide individuals with the means of growing their money over time and above the rate of inflation, thereby providing a savings method that not only preserves purchasing power but increases it. However, your mom was right when she said there is no such thing as a free lunch. The cost of achieving the markets’ potential is suffering through its volatility. All publicly traded investments likely will gyrate around the eventual trend of progress they can produce. 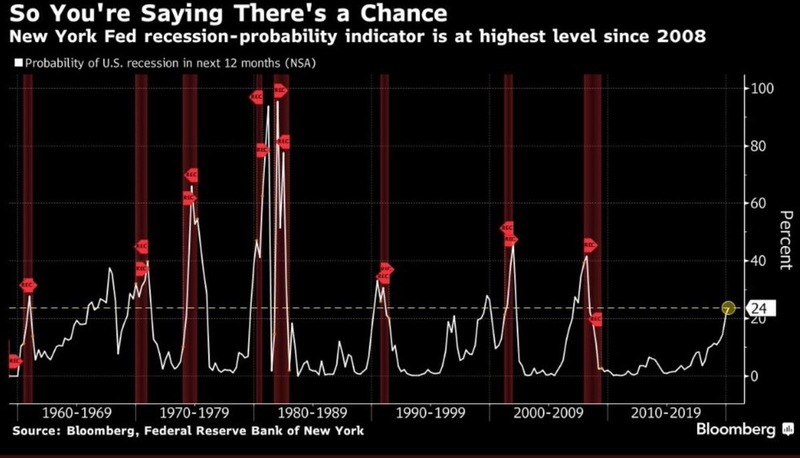 Some of those gyrations will be large and swift, causing night sweats and racing thoughts that now is the end of modern stock market history, a new normal in which what we know about investing is no longer valid. That feeling is normal (but don’t act on it). We sit in one of those time periods. Uncertainty has been growing for the past year, and the reasons for concern have been growing, too. Our newsletter is mainly visual this time. The following charts show indicators of the uncertainty and tell the story of cycle maturity better than we can in words. Plus, it’s tax time! No one wants to spend even more time on bad news. 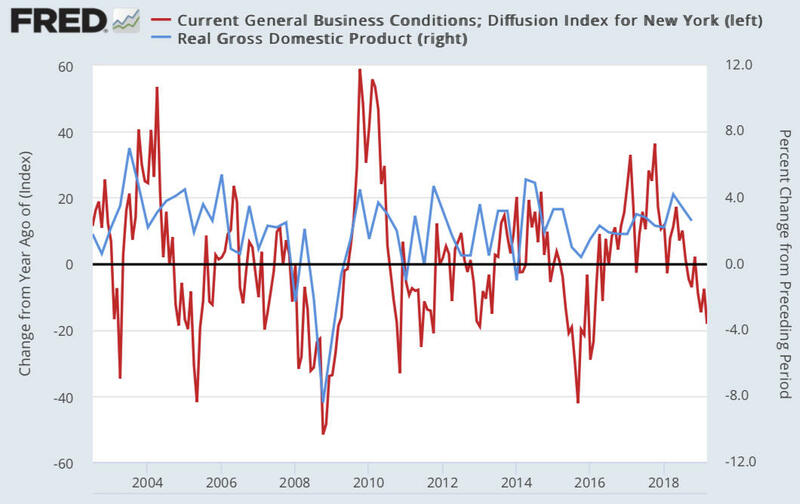 Business conditions in the U.S. are indicating some softness as shown in the diffusion index which measures the monthly change in business activity across multiple end markets. 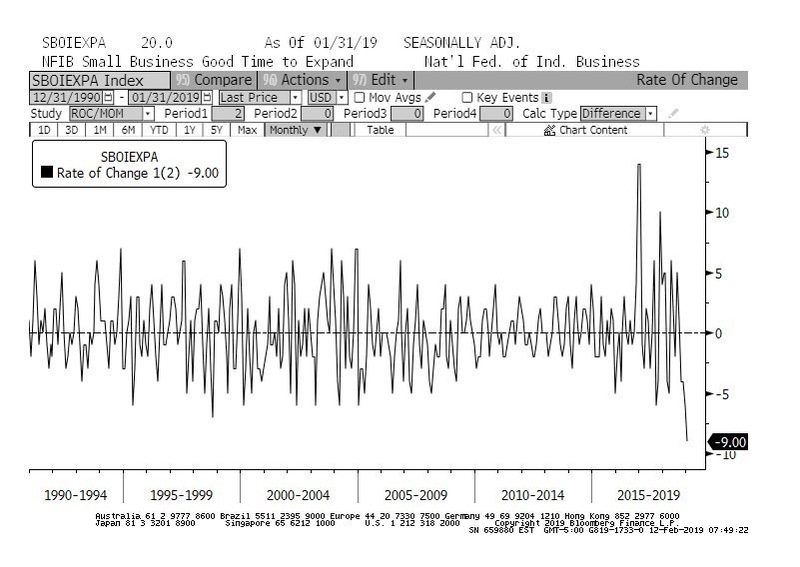 And small businesses are feeling less comfortable expanding at this point in the cycle. As shown in the national survey by the NFIB below, small businesses have not indicated this level of concern in some time. Which has started to cause increasing worries of an economic slowdown and has raised the chances of a recession. 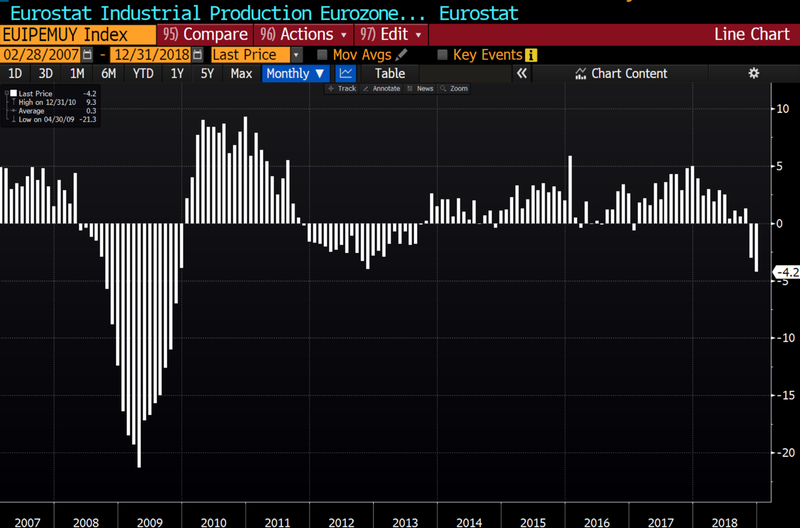 And we are seeing slowing in economic activity in Europe as industrial production weakens. And not just Europe. 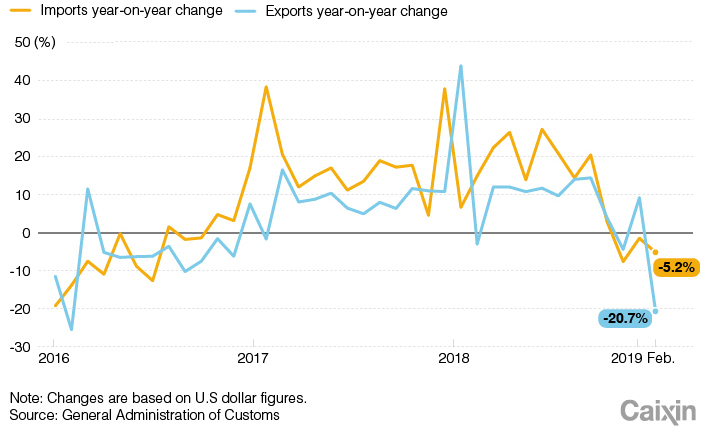 Asia—in particular, China—is seeing a dramatic slowdown in both imports and export demand. A global slowdown alone is not overly concerning. They happen. 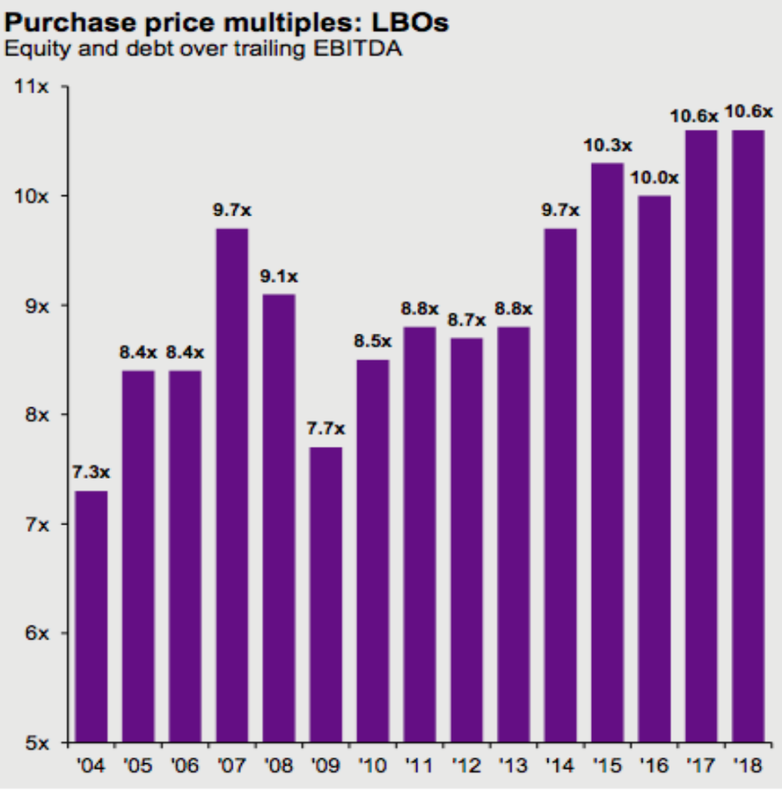 However, this current slowdown is happening while simultaneously money is flooding into illiquid private equity instruments, which has acted as a tailwind to public markets. A fact not well discussed is that these private equity instruments have asymmetric incentives. Investors place their hard-earned savings into the hands of managers paid very handsomely to take high levels of risk for lottery-like payouts to the managers. Those managers have been taking larger levels of risks during this bull market which may lead to lower than expected level of returns. As an example, managers are paying more for less cashflow. And in order to afford these lottery tickets, umm, we mean investments, private equity managers have been using higher levels of debt. This means less equity cushion if growth objectives are missed, or worse, things go bad. Our fear is that even a shallow slowdown could cause a period of increased instability within this segment of the market—and impact debt markets. As we all remember from the 2008 crisis, when debt markets experience an “issue” we all are likely to feel it. Our position has not changed since November. We continue to be defensively positioned with levels of tactical cash sitting between 20 to 35% of portfolio holdings depending on the strategy. The recent swift move down last fall and then the swift move up since the year’s start is a reminder of the swings the market can bring. Studies suggest these times increase the chances of investors reacting emotionally. The higher levels of cash are aiming to temper those emotions and produce a smoother ride through what is likely to be a rough journey. It is not a free lunch but we aim to have our strategies afford you a less expensive one.